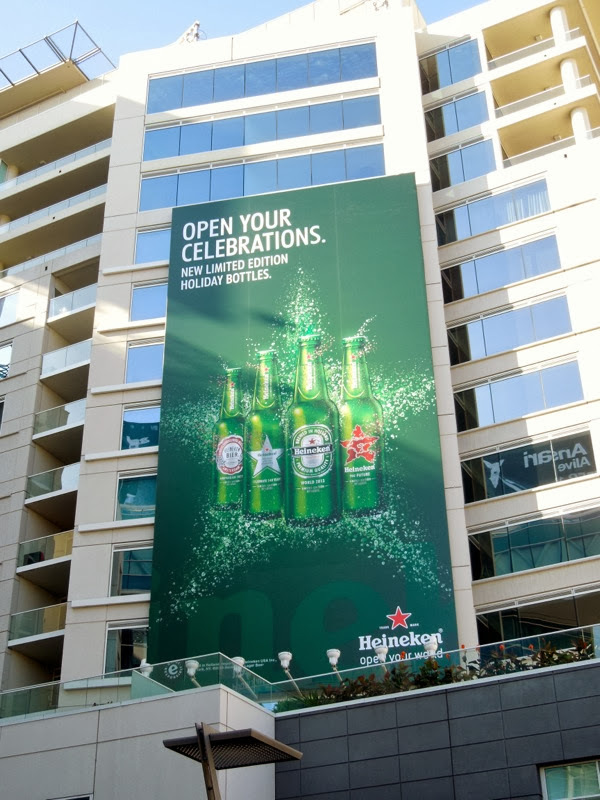 If you're not feeling quite festive enough yet, maybe you should treat yourself to some holiday-themed bottles of Heineken beer to help you make merry. 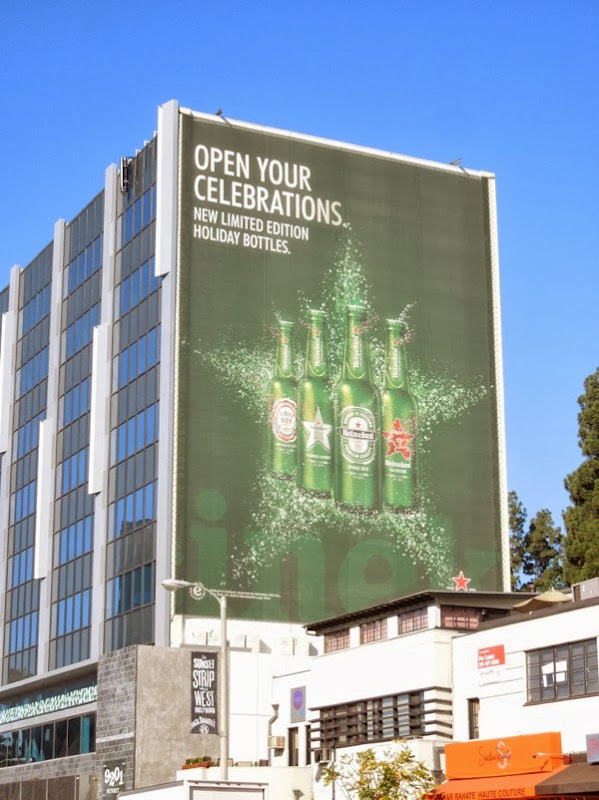 If you indulge in a 12-pack featuring the four limited-edition bottles you'll also have the chance to instantly win a $50 reward gift card with the in-pack code, giving you even more reason to celebrate this season. 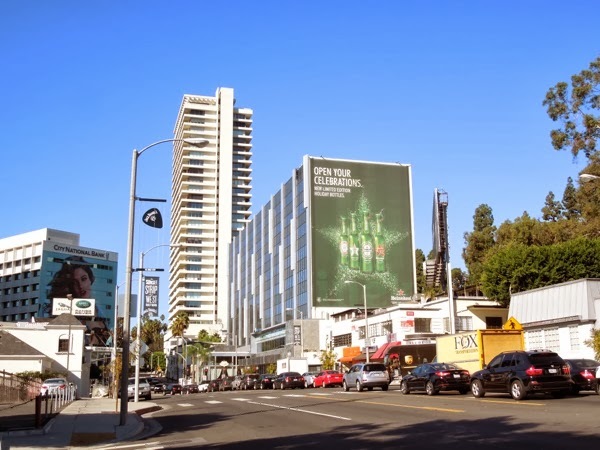 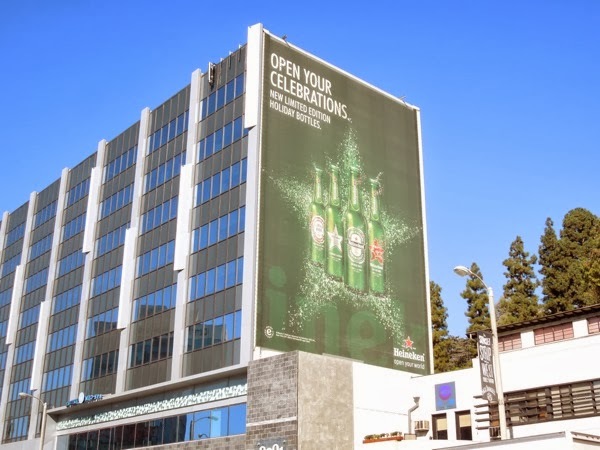 This super-sized holiday Heineken billboard was snapped along L.A.'s Sunset Strip and also along Hollywood Boulevard at the W Hotel on November 13, 2013. 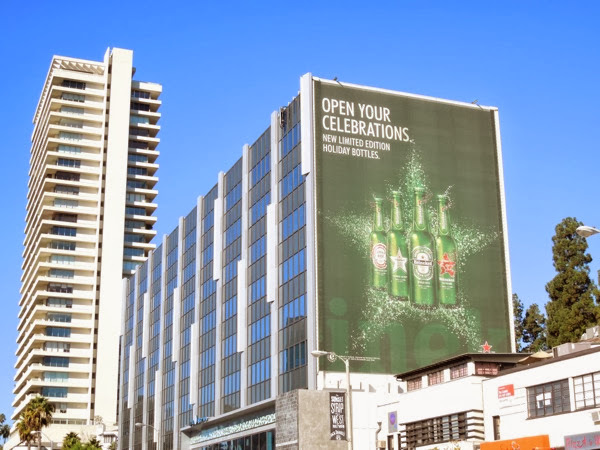 Be sure to also check out these other festive Heineken billboards from December 2011, plus this billboard ad campaign that launched Heineken's new Star Bottle earlier this year.